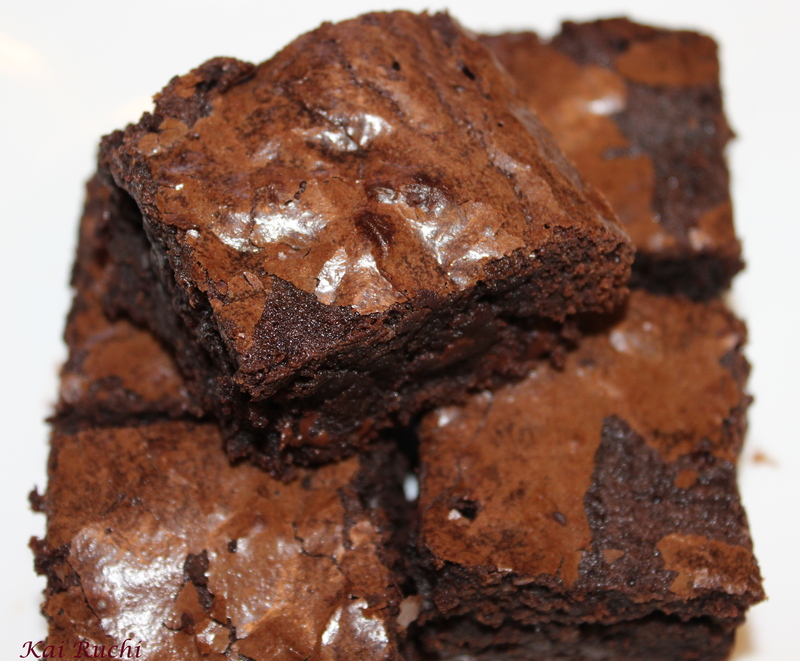 Brownies are wonderful “cakey” or “fudgy” type of dessert which goes superbly well with a scoop of vanilla ice cream or just plain…Am I right? 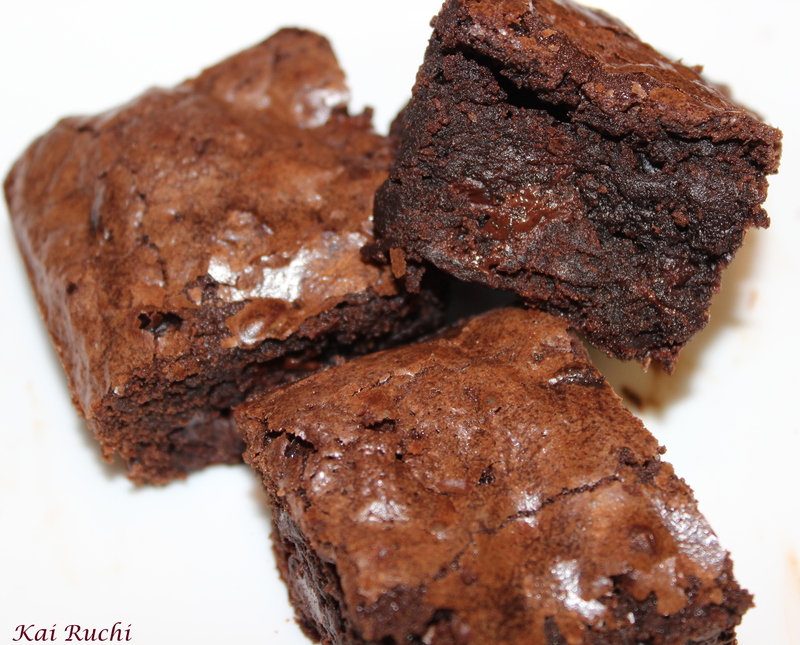 I have tried many different type of brownies and this recipe brings me a complete satisfaction in terms of slight crispness on the outside and soft chewy texture on the inside. 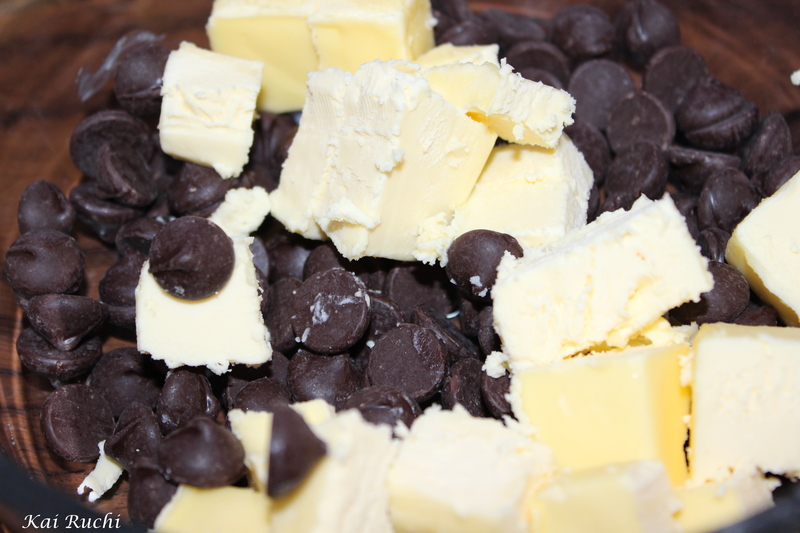 Addition of dark chocolate morsels gives it a nice chocolatey flavor and no one can eat just one! Pre heat the oven to 350 degree F. In a medium heat proof saucepan, add bitter-sweet chocolate and pieces of unsalted butter. Microwave for a minute or 2 until the mixture forms a smooth paste. (Do not boil the mixture, they have to just melt). Add sugar, pure vanilla extract and mix well. Add in the eggs one by one and give it a quick stir. 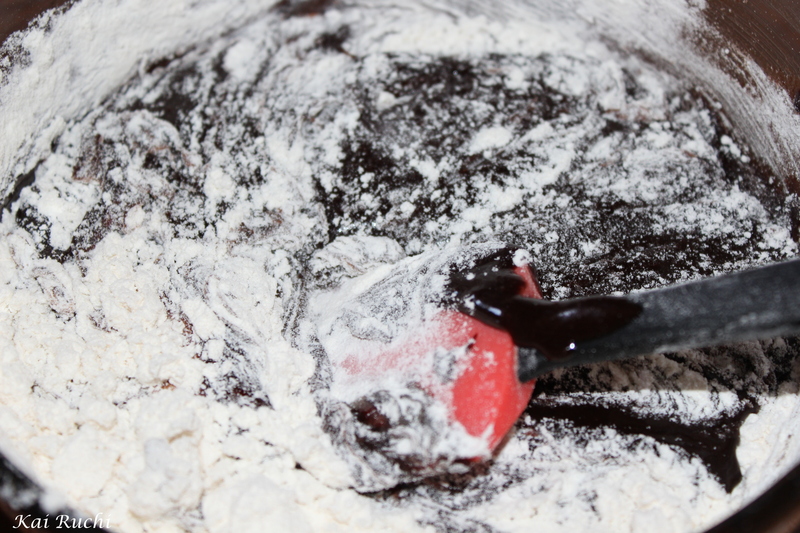 Now add, all-purpose flour, cocoa powder and salt. Mix until no lumps are visible. Finally add the dark chocolate morsels and stir. 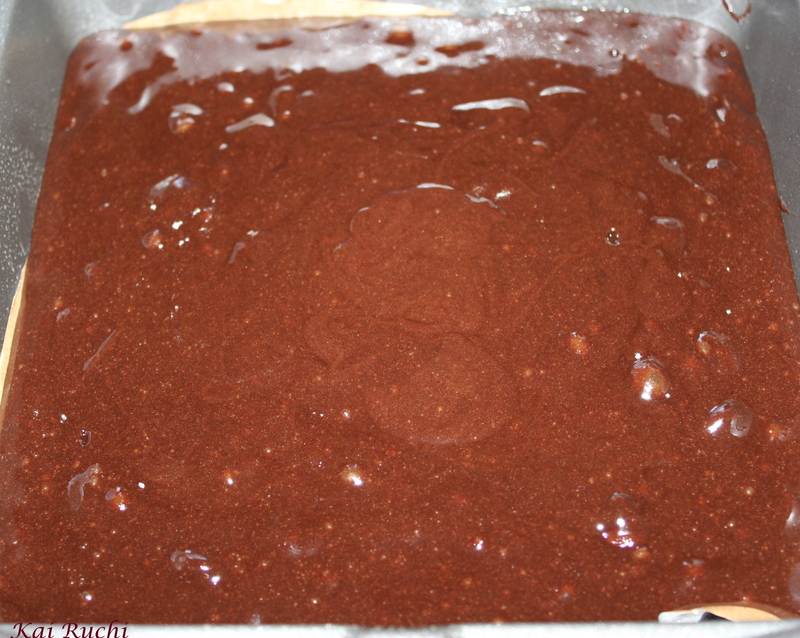 Pour the mixture to a 8 inch greased square pan. Bake for 25-30 minutes. 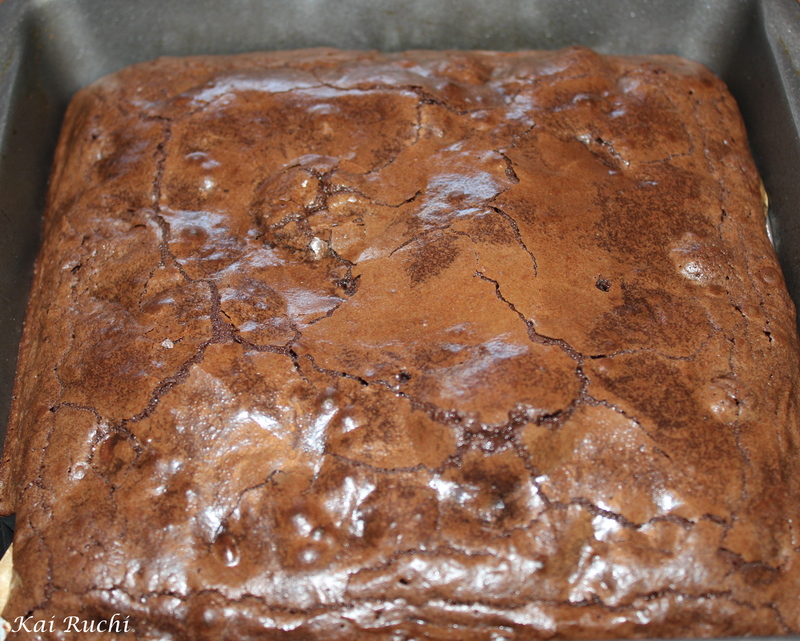 Perfect brownies are done when little crumbs stick to the tooth pick when inserted. 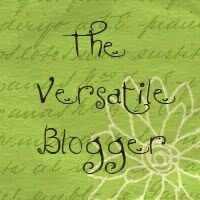 I love that you paired both dutch cocoa and bittersweet with this…what an intense double whammy! I hope you have a bangin’ weekend, love!!! Oh I’m craving some of these real bad now 🙂 Especially since its snowing outside and these would be just the perfect dessert to enjoy 🙂 Gorgeous! Goshhhh yummyyyyyy this pictures are making me hungry!!!!! Yes I like to mix bitter sweet and regular chocolate. They look absolutely delcious! Be still my heart! 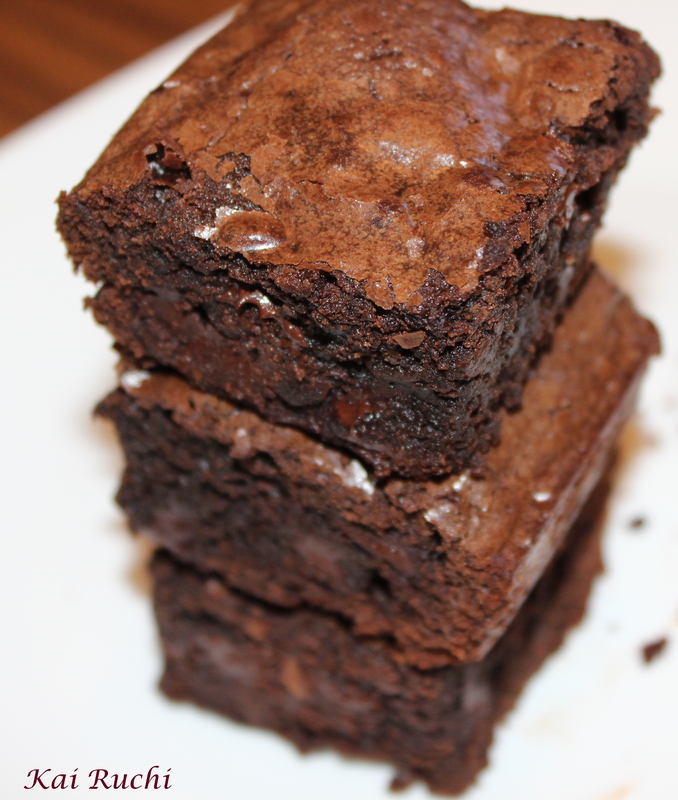 These look like the PERFECT brownie!!! I’ll make these soon!! !